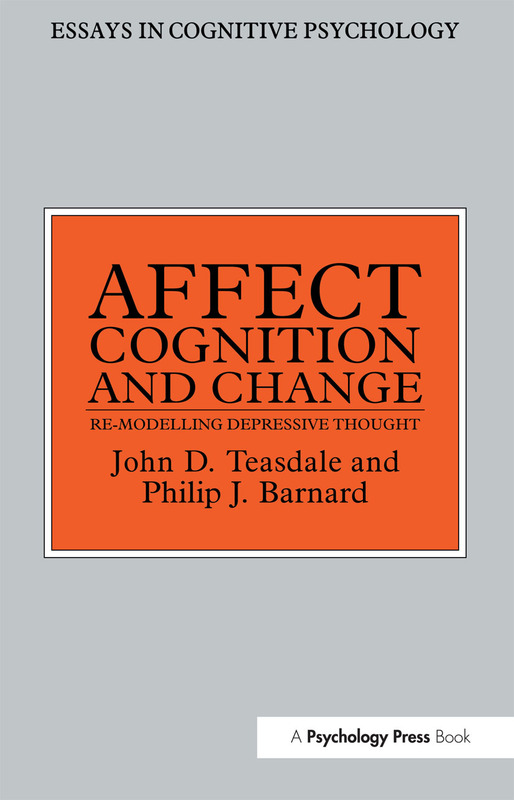 This text, a collaboration between a clinical psychologist and a cognitive psychologist, offers a cognitive account of depression. Part 1: The Problem, Some Evidence, Previous Answers. Negative Thinking and Depression. Effects of Depressed Mood on the Accessibility of Autobiographical Memories. Bower's Associative Network Theory of Mood and Memory and its Applications to Depression. Evaluating the Associative Network Model of Mood Memory. Part 2: The Interacting Cognitive Subsystems ICS Approach. The ICS Framework. Two Levels of Meaning and their Interaction. ICS and Emotion. Part 3: ICS and Mood-Congruous Cognition in the Laboratory. ICS, Mood and Memory. ICS and Mood-congruous Memory. Mood Effects on Evaluative Judgement. Part 4: Negative Thinking and the Maintenance of Depression. The ICS Account. Negative Thought Production and the Maintenance of Depression - The Evidence. ICS and Self-regulatory, Motivational Models of Depression. Part 5: ICS, Depression and Psychological Treatment. ICS and Beck's Cognitive Theory of Depression. Psychological Treatment for Depression - the ICS Perspective. Part 6: Afterword. Applicable Theory - A Puzzle in Three Dimensions.